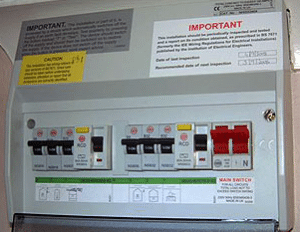 So you are thinking of changing your old fuse box or old smalled consumer unit for a nice new one… Its a good idea to upgrade because any electrical work that is carried out in your property that is new and not just a change of fitting, is likely it would need to be RCD protected which you may not have with your old fuse box. A lot of people neglect their electrics and have the view of, it works so don’t change it. Not everyone likes to spend money on something they do not really benefit from as such, but should they drill into a wall and hit a cable then they will have wished they has upgraded when laying flat on their back from an electric shock!